Yuri Gagarin became the first man in space in 1961 and since then slightly more than 500 people have followed into the next frontier. Of those, only seven were private space citizens. Of those seven, there’s only been one to make a repeat trip – Charles Simonyi. For Simonyi, the dream of traveling to space began at a young age. “I got my first book on space when I was 9 – I still have it in my library, it was translated from Russian, written in Soviet style with the title “Battle for Speed,” he told a fan through a Q & A forum on his website CharlesinSpace.com. But while space started as just a dream, seven years ago today, it became a reality. 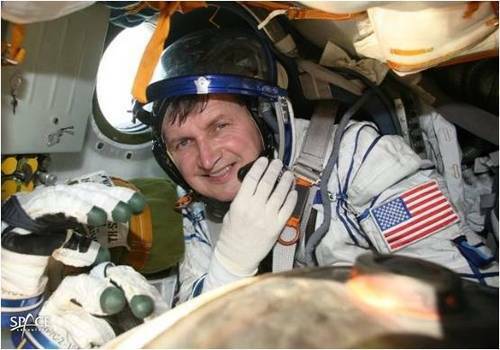 In 2007, Simonyi became the world’s fifth space tourist and only the second Hungarian in space, launching to the International Space Station for a 10-day mission with Space Adventures. For Simonyi, a dream fulfilled wasn’t a dream complete. He made history in 2009 – flying for a second time to the ISS and becoming the first person with Space Adventures to travel to space twice. As we celebrate Simonyi’s space missions, we look back on his goals to be more than just a tourist. For both missions, Simonyi worked to advance civilian space flight, assist space station research and involve the world’s youth in the science of space travel. He is convinced that one day, humans will travel and live comfortably in space, and remains today the only person to make the journey twice.